The event "Motori & Sapori" is an unmissable appointment for petrolheads which takes place every year in March along the streets of Castelfranco Emilia (Modena). It is a vintage motorcycle rally with exhibitions, national Vespa rally, Fiat 500 rally, and a rally of all supercars built between Modena and Bologna (Ferrari, Lamborghini, De Tomaso, Pagani, Maserati). The whole is mixed with banquets which offer local products like the legendary balsamic vinegar, the Lambrusco wine, and many others. 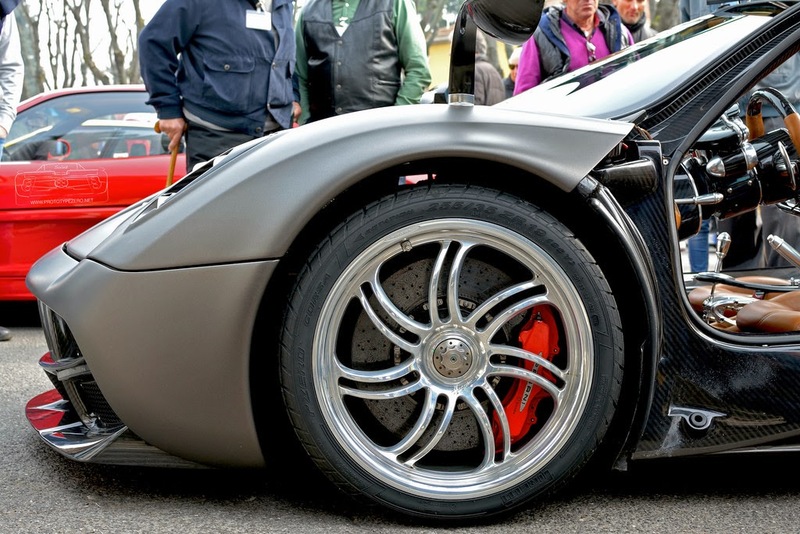 Pagani takes part at this event since the beginning and of course, every year I'm there. This latest edition was much more crowded than in previous years, both of supercars and people. 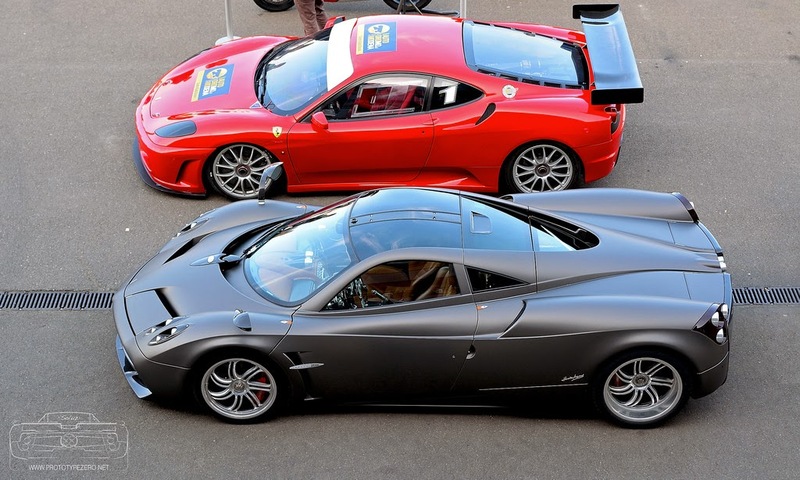 This time, the Pagani Automobili took part with two cars, the well known Huayra PT5 and the just refurbished Huayra PT3. Here is our reportage. Yesterday it has been the first time that the Prototype 3 was showcased to the public. This car is the third Prototype used for the C9 project development, especially for the electronic components made by BOSH. It is one of the Huayra which was driven by the Pagani Official Tester during the various test in South Africa and around the world. In origin the car was matt black with silver brake calipers, matt gold wheels and a lot of tapes used for the camouflage. Now the car has been restored according to Davide Testi tastes. 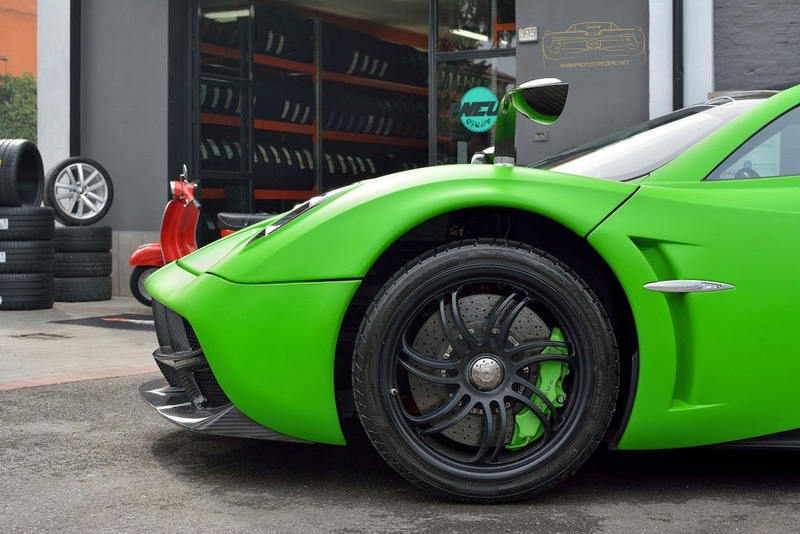 The green vinyl has been made by Car Wrapping Milano, the brake calipers have been painted in green and the cockpit has been restored a bit, for example now it features normal leather seats. 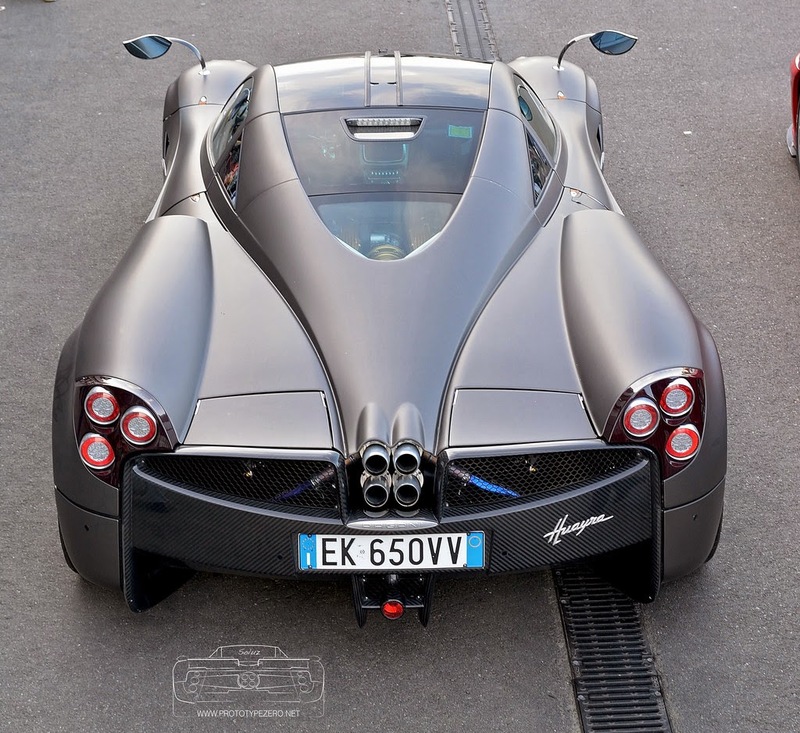 The main protagonist of the event was the Huayra Prototype 5, which was driven by Davide Testi. During the morning all the supercars of the show took part at a timed race on an improvised circuit in the industrial area of Castelfranco Emilia, here Davide has performed with spectacular drifts and launch control. In the afternoon, the car was exposed at the Modena Track for a sport event together with other supercars. This car is the fifth Prototype used for the C9 Project development, even if it was never involved in high test as the other prototypes, this car was utilized as a factory show car. It has been used for the Huayra launch at the 2011 Geneva Motor Show, at the private Huayra presentation, press release and many other events. Now it's regularly registered in Italy and it's kept by the factory as a show car. During the years it received some upgrades like the Track Pack and many livery like the Mille Miglia livery, the Goodwood livery and the Gold livery. Now it features a new matt grey vinyl made by Car Wrapping Milano.